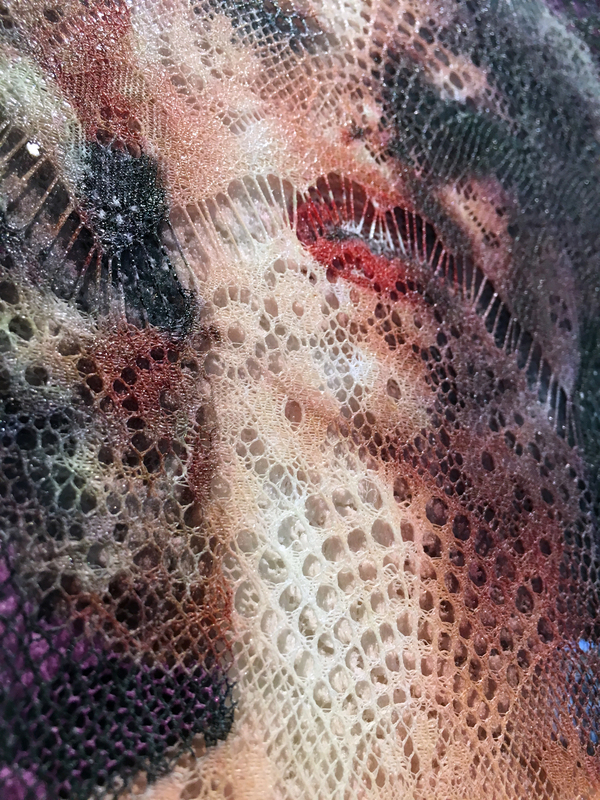 Archival giclee prints on 2 pieces of lace, mounted on 3 sheets of 18" x 24" plexiglass. Date: February 2017. Marilyn Monroe as photographed in 1952 by Ernest Bachrach. 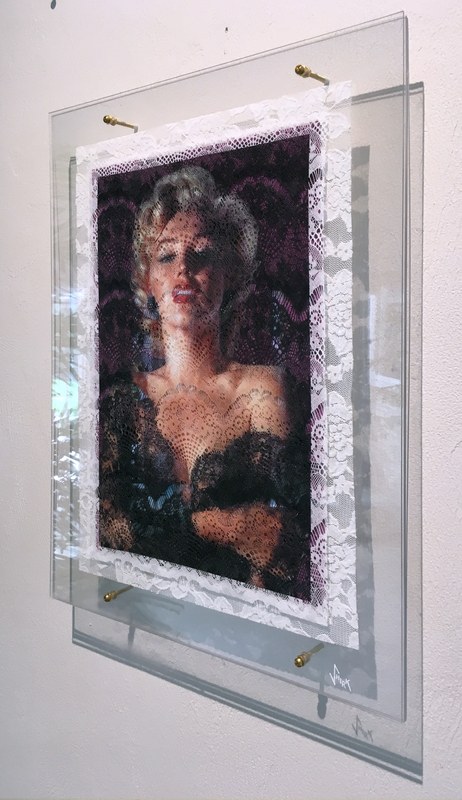 When I saw this beautiful image of Marilyn Monroe in a lace outfit, I thought the image was perfect for layering on plexiglass. Could I print this image on lace? How about on two different pieces of lace layered on top of each other? Yes, and yes. It did take me quite some time to discover how to do it on without destroying the lace, not to mention my printer! 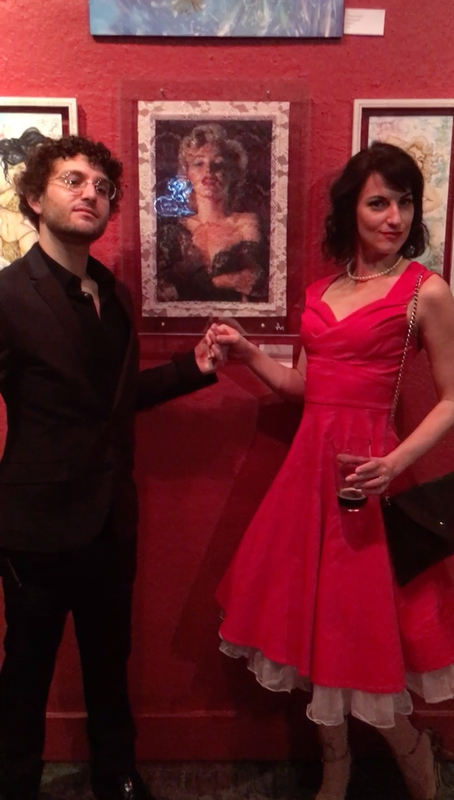 Here is a short 1 min video that shows what is printed on each of the 3 sheets of plexiglass for this portrait of Marilyn Monroe. Please excuse the shaky end of the video. I just ordered a 3-Axis Handheld Gimbal Stabilizer to correct this in future videos. 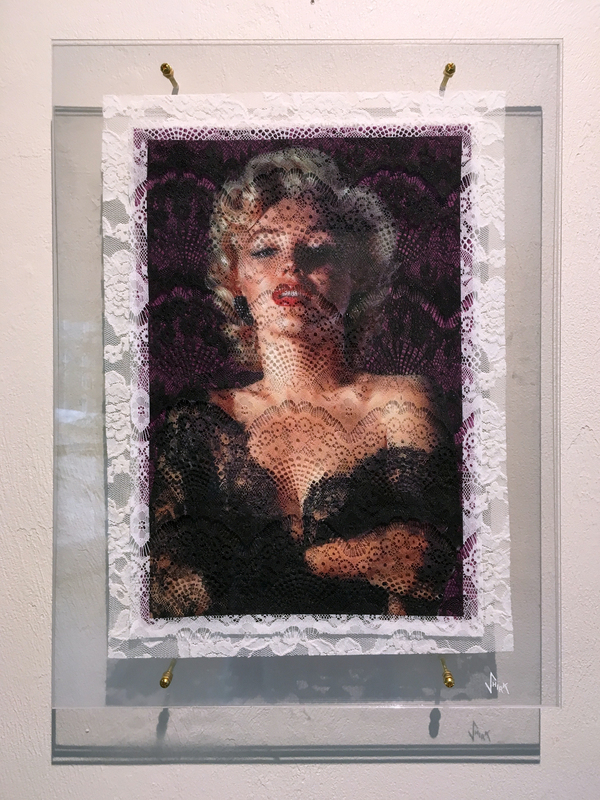 'Marilyn in Lace' in the ArtistsRegistry.com show, 'Members Juried Exhibit' along with my painting 'Hiogi Peek-A-Boo'. 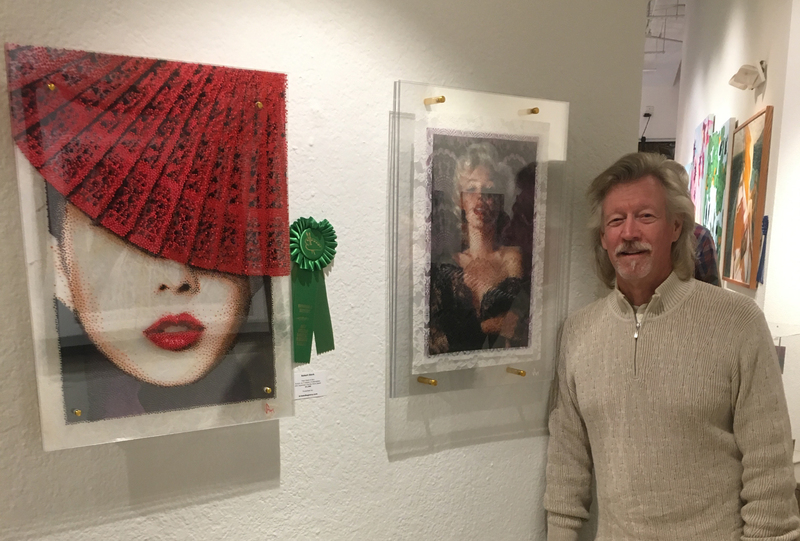 My 'Marilyn in Lace' has some very nice company @TheFalcon Pin-Up Art & Photography exhibit. Met and got some inspiration from a great couple, Tiffany Ohr and Kevin Ohr. 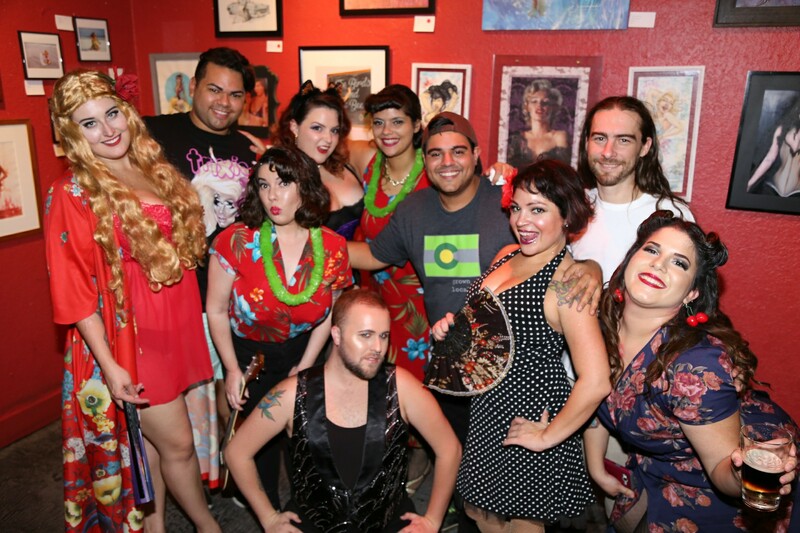 Thank you Melissa Marie and Plinio Marcos Pinto for putting on such a fun event.